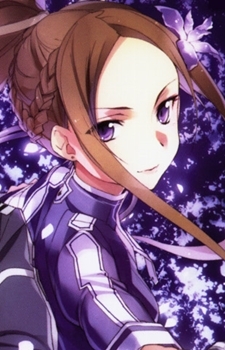 Sortiliena Serlut is the mentor of Kirito during his 1st year in the North Centoria Imperial Sword Mastery Academy, and the 2nd-seat elite swordswoman at the Academy where she is known as the "Walking Tactics Manual." She has very long straight hair and can easily be considered beautiful. As an elite-swordswoman, she customized her uniform to a purple one.